There are very few places in Toronto that teach archery professionally. Here is a list of places you can go. All equipment is provided by a personal trainer with years of experience teaching archery lessons in Toronto. Formally trained in Olympic archery in South Korea, but teaches all 5 styles of archery including compound bows (equipment is not provided for compound bow lessons because the bow needs to be fitted for the user). Rates are reasonable and the personal trainer can teach you and up to two friends at the same time. The focus is on traditional archery technique and accomodates both beginners and more advanced students. If you wish to learn using your own equipment, you may do so. Students age 16 and over are welcome. Discounts for seniors. Micah Rothschild provides expert instruction and will take a complete beginner at archery and after 20 lengthy lessons leave a person who will be able to shoot competitively - however there is a catch. Micah currently only teaches people who are physically challenged, whether they have mobility problems, are in a wheelchair, or have muscular dystrophy or similar ailments. The elderly are also welcome. Sign up for 10 2-hour lessons for $800 from "Survivor Archery", run by Craig Murphy of Toronto. "Survivor Archery" focuses on compound and crossbow lessons for the purposes of hunting and operates out of the archery instructor's garage. Equipment is not provided so you will need to buy your own. Expect to spend about $600 to $1000 on equipment. Must be 16 or older to sign up for lessons. Lessons also include survivalist tips, hunting tips and is geared towards people interested in bowhunting and/or bowfishing. The JCCC offers archery lessons in Japanese style archery (Kyudo, the way of the bow). Students must complete a month long beginners course before entering the full program which lasts several months. The beginners program provides all the equipment, but don't expect to actually shoot a Japanese yumi bow until lesson 3 or 4. The traditional archery practice of Japan is more like "Japanese Tea Ceremony" in the respect that is a very regimented practice and not for people or children who lack serious patience. Kyudo is more of a meditative process and highly ceremonial. Former Olympic archer and member of the Ontario Association of Archers (OAA), Joan McDonald teaches Olympic archery techniques. Equipment is not provided and students are required to obtain their own equipment. Expect to pay between $1,000 to $2,000 for a complete set of Olympic archery equipment. You can get Olympic equipment for less, but it will be less quality. The Ontario Centre for Classical Sport offers private archery lessons for you and up to 4 people at a time. Lessons are available weekdays and weekends, during shooting hours. Prices range from $55 to $115 + HST. Each lesson requires a $35 deposit. They also offer archery lessons for events such as birthday parties, bachelor parties, etc. See the event prices on their website. No outdoor shoes allowed on the range. Bring separate indoor shoes with you that don't leave scuff marks on the floor. Lessons are taught using Olympic-style recurve bows. Located in Etobicoke, this archery school operates out of a community centre basement and offers archery lessons for beginner and intermediate archers. The school is more geared for people interested in competing in Olympic archery. Maciej Karlowski offers lessons for all levels (beginner, intermediate and advanced), but only style of archery he teaches is Olympic Recurve archery for competitors. His group rates are reasonable and equipment is provided. If you are looking for private instruction his rates are more expensive. What About Other Locations Outside of Toronto? 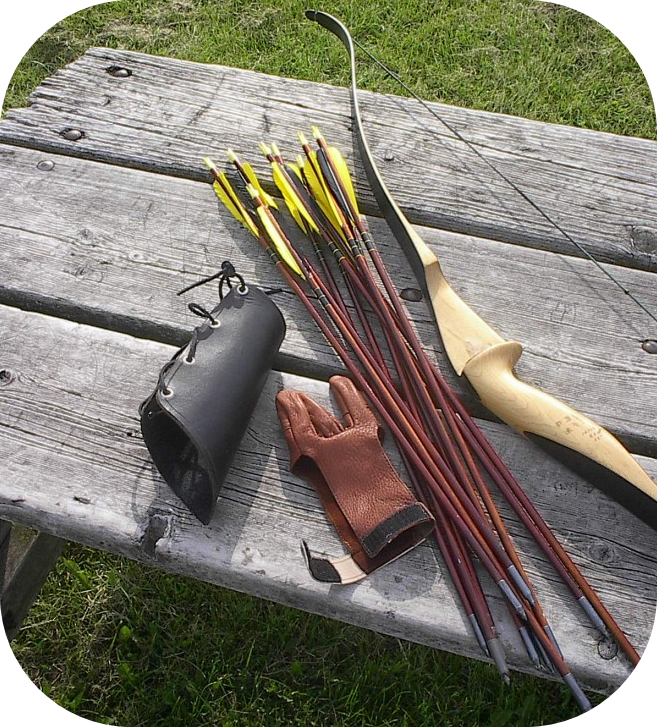 There are plenty of other locations outside of Toronto where a person can learn archery (eg. Montreal) and we fully encourage beginners to check them out. Over the next year ArcheryToronto.ca will be adding more information about locations outside of Toronto where people can get archery lessons, horseback archery lessons, places to go to learn specific styles, tourist locations for archers who love to travel, and so forth.